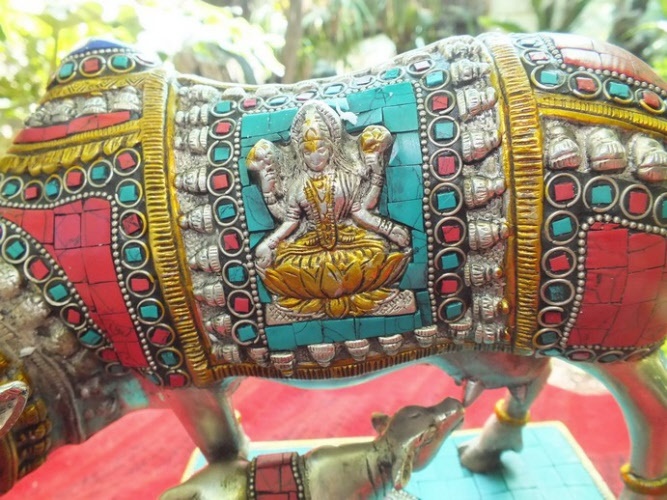 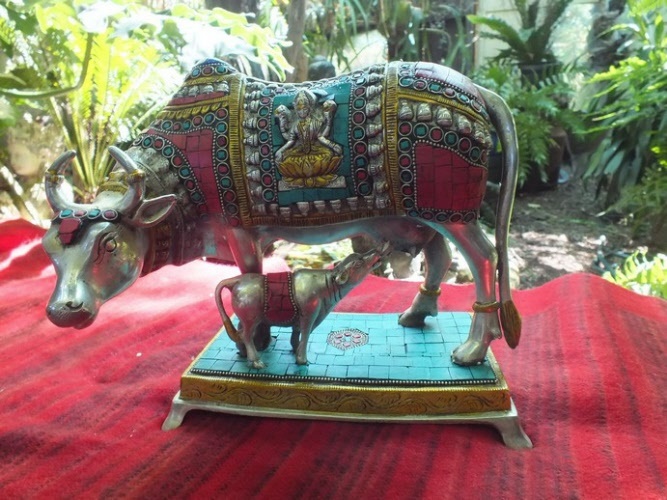 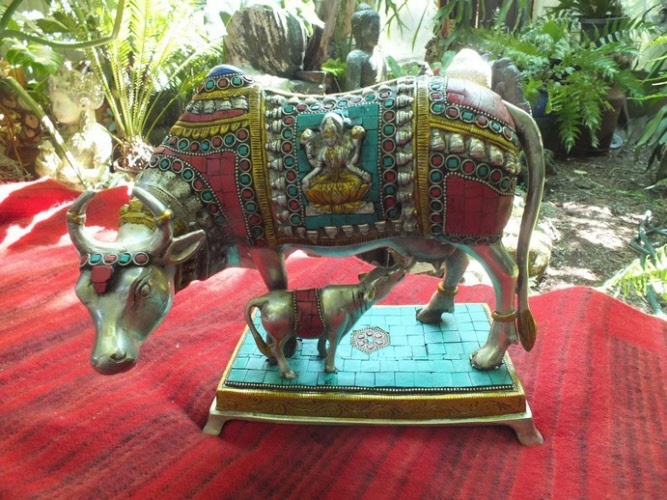 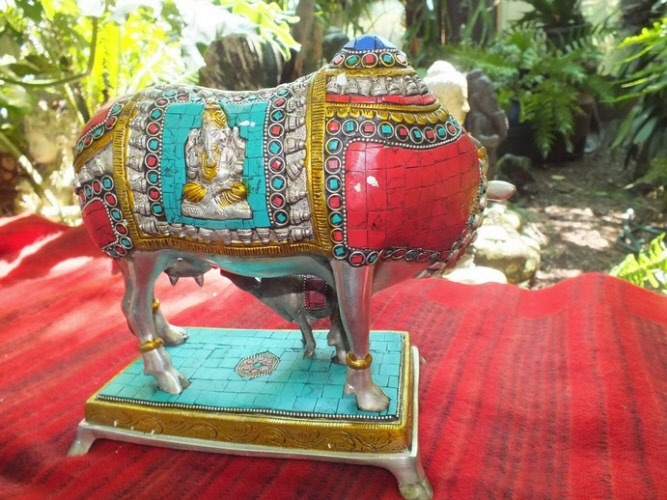 This is a truly amazing sculpture, made in brass in India with great care and love. 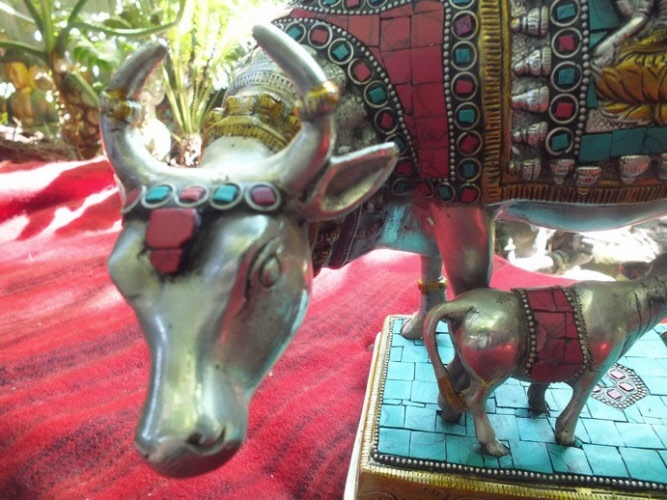 A beautiful image of India's Sacred Cow, feeding her calf. 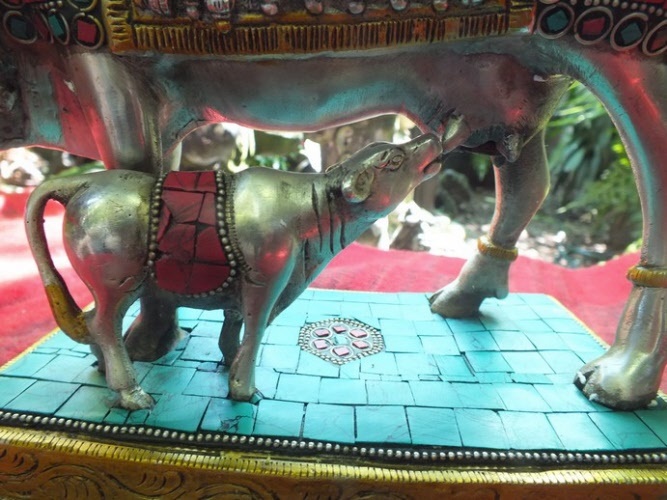 Silver plated and covered in Lapis, Tuirquoise and Coral tiles, it is a beauty to behold. Measures: 22 high x 27 long x 18 deep (centimetres) approx.